Bunk beds allow two single bed frames to stack securely on top of each other. Whenever bedroom space is at a premium, many parents choose to invest in a stackable bedding arrangement known as a bunk bed. A bunk bed is specifically designed to allow two single bed frames to stack securely on each other, creating a two or sometimes three-tiered sleeping area. A bunk bed unit may also be a single structure with two or more levels of bedding. Secured ladders or rungs on the bed frames allow one sleeper to access the top bunk, while the bottom bunk is generally at the traditional floor level. Kids sharing a room often need all the available floor space they can get, which means that a bunk bed is an ideal way to take advantage of unused vertical space. If space is not an issue, then many bunk beds can be converted into two single beds with a few minor adjustments. 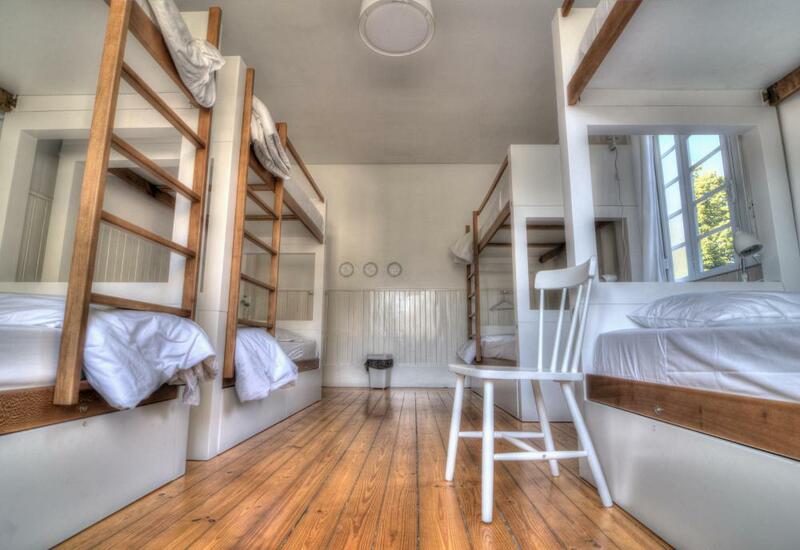 Some parents may want to wait until their children are old enough to sleep in a top bunk before they make the conversion from single beds to a bunk bed. 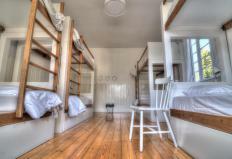 Many children consider sleeping in a bunk bed, especially the top bunk, as a form of adventure. The lower bunk can be completely covered with blankets to form a dark tent, while the top bunk offers a completely different perspective of a child's room. The entire bunk bed may become a pirate ship or an airplane or a school bus in a child's imagination. There are some safety issues inherent with the use of bunk beds, however. Some stackable beds rely on a unsecured socket-and-post connection which can become dislodged during rough play. Parents may be able to install braces or clamps which will hold the frames together more securely when stacked. Many newer bunk bed models do not have this problem, but older bunk beds bought in thrift or discount stores still might. Another consideration when buying a bunk bed is the presence of bed railings, especially on the top bunk. Older children may not be in danger of rolling out of the bed at night, but younger children may need some form of restraint until they become more comfortable with the added height of a top bunk. If the bunk bed's rails are removable, it should be left up to the parent to decide when a child is ready to have them removed. The ladder system should also be examined for suitability before purchasing a new bunk bed. How Do I Choose the Best Bunk Bed Frame? How Do I Choose the Best Bed Tent? What Are Bed Frame Rails? How Do I Choose the Best Single Bed Frame? What is a Futon Bunk Bed? What is a Bunk Bed Desk? Bunk beds are great for a child's bedroom, especially if there is more than one child sharing a room and there is little space in the room. There is a wide range of cheap bunk beds on the market that would be perfect for your child's room.